Rivers and Zamfara states All Progressives Congress (APC) will not be part of the governorship and House of Assembly elections slated for March 2. 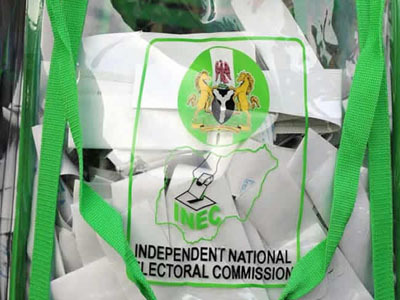 The partyâ€™s candidatesâ€™ names are missing on the list of those who will run in the elections released last night by the Independent National Electoral Commission (INEC). Two weeks ago, the commission also omitted names of APC candidates in the National Assembly final list of candidates. Seventy-nine of the candidates are women. Many of them are from Kano and Delta states. The commission resolved the controversy over the Peoples Democratic Party (PDP) governorship candidate in Ogun State in favour of Senator Buruji Kashamu. The senator and another party chieftain and House of Representatives member, Ladi Adebutu, were battling for the ticket. INEC said it chose Kashamu based on a court judgment. The commission also resolved the crisis over the APC governorship candidate in Abia State in favour of Uche Ogah, who battled Chief Ikechi Emenike for the ticket. For Lagos State, Mr Babajide Sanwo-Olu is on the list as governorship candidate of the APC. The PDP has Mr Jimi Agbaje as its governorship candidate. The two are seen as the major contenders. Some of the governorship candidates in Oyo State are Adebayo Adelabu (APC), Seyi Makinde (PDP) and Adebayo Alao-Akala (ADP). First term governors on the list are Umar Ganduje (Kano, APC), Nyesom Wike (PDP, Rivers), Emmanuel Udom (PDP, Akwa Ibom), Ben Ayade (Cross River PDP), Aminu Tambuwal (Sokoto PDP), Samuel Ortom (Benue PDP), Nasir El-Rufai (Kaduna APC), Ifeanyi Okowa (Delta PDP), Ifeanyi Ugwuanyi (Enugu PDP), Aminu Bello Masari (Katsina APC) and Okezie Ikpeazu (Abia PDP). Others are Dave Umahi (Ebonyi PDP), Sani Bello (Niger APC), Mohammed Abubakar (Bauchi APC), Ishiaku Darius (Taraba PDP), Abubakar Atiku Bagudu (Kebbi APC), Simon Bako Lalong (Plateau APC) and Bindow Jubrilla (Adamawa APC). Some other candidates who made the list are: Umaru Ahmadu (Adamawa PDP), Nsima Udo Ekere (Akwa Ibom APC), Udom Emmanuel (Akwa Ibom PDP), Bala Abdulkadir Mohammed (Bauchi PDP), Emmanuel Jime (Benue APC), Baba Gana Umara (Borno APC), Mohammed Alkali Imam (Borno PDP), Owan Enoh John (Cross River APC), Great Ovedje Ogboru (Delta APC), Sunday Oji Ogbuoji (Ebonyi APC), Ayogu Eze (Enugu APC), Mohammed Inuwa Yahaya (Gombe APC), Nafada Usman Bayero (Gombe PDP) and Uzodinma Hope Odidika (Imo APC). Also on the list are: Ihedioha Emeka (Imo PDP), Mohammed Badaru Abubakar (Jigawa APC), Aminu Ibrahim Ringim (Jigawa PDP), Isa Mohammad Ashiru (Kaduna PDP), Abba Kabir Yusuf (Kano PDP), Garba Yakubu Lado (Katsina PDP), Isa Mohammed Galadu (Kebbi PDP), Abdulrahman Abbulrazaq (Kwara APC), Razak Atunwa (Kwara PDP), Umar Mohammed Nasko (Niger PDP), Adedapo Abiodun (Ogun APC), Akinlade Adekunle Abdulkabir (Ogun APM), Nwosu Uche (Imo AA) and Jeremiah Timbut Useni (Plateau PDP). Governorship elections are not holding in Ondo, Ekiti, Bayelsa, Osun, Edo, Kogi and Anambra states. The APC yesterday faulted INEC over its decision on Zamfara and Rivers. The APC national secretariat accused INEC of double standards in rejecting its candidates in Zamfara State while accepting those presented to it by the Peopleâ€™s Democratic Party (PDP) in Kano State. The party expressed confidence that it would present candidates for all elections in Zamafara and Rivers states, as it complied with the provisions of the law and conducted its primaries in the state. APC National Publicity Secretary Lanre Issa-Onilu told reporters that INEC was being accused by the PDP of working with APC to rig the elections even as it was denying the APC the opportunity to present candidates, despite its compliance with the provisions of its constitution, which says it could either conduct its primaries through direct, indirect or consensus options. He said: â€œWe have heard that INEC is relying on the fact that courts of equal jurisdiction have given conflicting judgments. We can understand that. What it does mean is that it is not yet Uhuru and we will continue to take steps. â€œWe are very certain that we did the right thing and the primaries held and INEC is not satisfied with that and the fact that it is our right to field candidates. â€œWe will follow all the legal means to ensure that all our candidates stand for election this 2019 in Zamfara. The same situation for Rivers. â€œFor people who are discerning, this is supposed to be the APC that INEC is accused of working for and this is what we are going through in their hand, even though the PDP has repeatedly claimed that it was out to rig election for APC. â€œMay I remind all of us that we had primaries in Zamfara, which was affected by conflict. But the process allows for three options. You could go with indirect, you could go with direct or you could go for consensus. We have the right under the constitution to exhaust these options, which we did. â€œLet me also add that in Kano, PDP did no primary and did not resort to any of these options. Yet, INEC is not saying anything regarding that and all the candidates submitted by the PDP in Kano were accepted. This is a fact that nobody can deny. The counsel to the embattled Rivers APC governorship candidate in the state, Tonye Patrick Cole, yesterday at the on-going Appeal Court matter on the disqualification of his client, said INEC should have waited for the Supreme Court before publishing the list. He said: â€œINEC cannot release the list of candidates, legally speaking, without the list of APC as submitted by the party. â€œAs soon as the motion for stay of execution of judgment is served on you, the law is that you do not do anything between the period you are served with that motion, till the period that motion is disposed of, one way or the other.